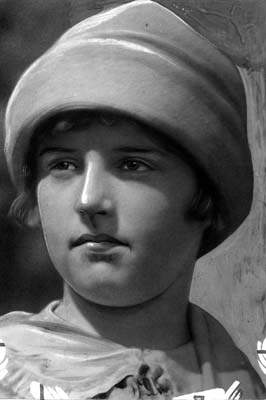 The kidnapping and murder of 12-year-old Marion Parker by William Edward Hickman in 1927 was considered a clear indication of the “moral imbecility” of the Jazz Age. We should not stop with Hickman; in fact, we need not wait to begin with him. The city has plenty of moral imbeciles that we might well dispense with. By day the fox spirits of Peking lie hidden and still. But at night they roam restlessly through the cemeteries and burial grounds of the long dead, exhuming bodies and the skulls upon their…Having lured their chosen victims, they simply love them to death. They then strike their tailsto the ground to produce fire and disappear, leaving only a corpse behind. Such tales can be found throughout Asia, from the Japanese kitsune to the Korean kumiho. These ancient fox spirits (who can be easily discerned because of their nine tails) are somewhat of a cross between the shape shifting werewolves of Central Europe and the Greek lamiae, and more often than not these fox spirits change into beautiful women in order to seduce and destroy young men. 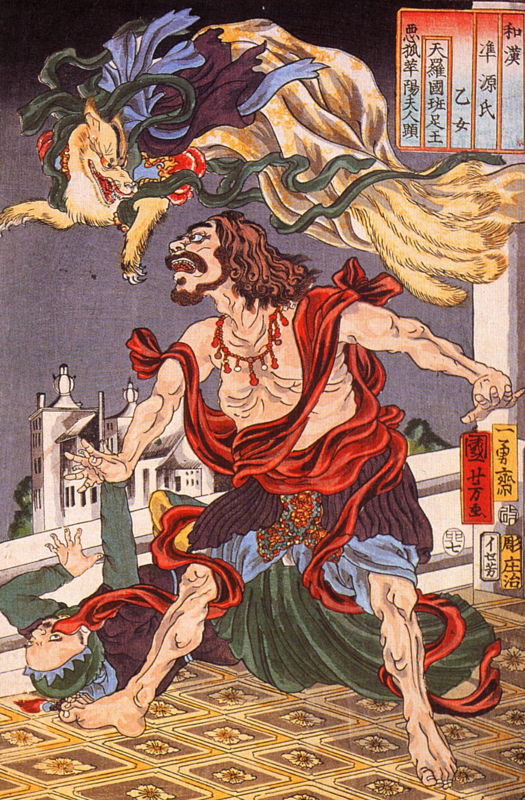 The kumiho is particularly vicious and is known to eat both the liver and the heart from their victims. In Europe and North America, foxes usually denote trickery or underhanded thievery. Foxes, after all, are always raiding the chicken coop, or like the French Reynard, trying to pull the wool over the eyes of unsuspecting or clearly incompetent humans. No matter the culture, foxes are traditionally an animal to avoid, no matter how lovely their coat. It’s likely that William Edward Hickman knew only a little about these legends when he signed his name as “The Fox” in one of his four ransom notes to Perry Parker, the father of Marion Parker. On December 15, 1927, the 12-year-old Marion was abducted from Mount Vernon Junior High School. The daughter of a prominent banker in Los Angeles, Marion’s kidnapping made headline news almost instantly. On that fateful winter day, the kidnapper presented himself to Mary Holt, the school’s registrar, and claimed that Marion’s father had been injured in a serious accident. He had come, he claimed, to take Marion to her father’s side. Without a struggle, the kidnapper whisked Marion away to a grisly fate. Within days, a completely healthy Perry Parker began receiving strange and taunting letters from the kidnapper. These letters were ransom notes. They demanded $1,500 in cash (or as some sources claim in $20 gold certificates), and furthermore they demanded that Parker himself drop the money off at an agreed upon rendezvous. Each letter bore a strange signature, including “Fate” and “Death,” but it was one, bearing the signature “The Fox,” that truly imbedded itself in the public’s mind. Like the central villain in Mary Roberts Rinehart and Avery Hopwood’s popular play The Bat, the name “The Fox” conjured up images of a devilishly capable and deviously brilliant master criminal. After all, only a truly heartless malefactor could abduct a beautiful young girl in broad daylight after first lying about so personal a topic. The true depth of The Fox’s wickedness would not come to light until December 19. On that day, a distraught Perry Parker paid the ransom, which he housed in a black bag, to a young man waiting in a parked car. Next to the man was Marion, who sat quietly in the passenger seat. The young driver drove off before Mr. Parker could get to his daughter or even get her confirmation that she was okay. In that moment, Mr. Parker would’ve agreed to any condition in order to get his daughter back. For his part, the kidnapper might have felt the father’s desperation, and that is why he dropped off Marion at 432 South Manhattan Place. Tragically, what the kidnapper dropped off was only a piece of Marion, for the young girl was not only dead, but she had been graphically mutilated. The corpse that Mr. Parker and the police found was missing its legs, internal organs, and several other parts that were eventually found spread throughout Los Angeles. Even more sickening was the fact that the killer had wired Marion’s eyes open in order to make it appear that she was still alive during the ransom drop-off. For a week, “The Fox” lived up to his name and successfully avoided capture. Los Angeles and the rest of America watched in horror as the days dragged on without justice. 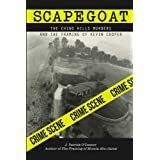 Making matters worse, 1927 was only three years removed from the so-called “Trial of the Century.” In that year in the grimy and oh-so dangerous city of Chicago, two young, wealthy, and well-educated Jewish boys – Nathan Leopold and Richard Loeb – abducted and murdered another nice young Jewish boy, 14-yearp-old Robert “Bobby” Franks. 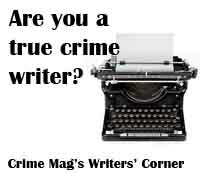 Their capture and confessions scandalized an already cynical nation, and the subsequent trial not only became a feeding frenzy for the yellow press tabloids, but it also put into the limelight the growing power of alienists (what we would today call psychiatrists and other practitioners of criminal psychology) and their findings concerning the metal make-up of criminals. Thus the age of serious and scientific criminology was born. Besides questions concerning the mental states of either Leopold or Loeb, the other major point of public discussion concerned their motive. 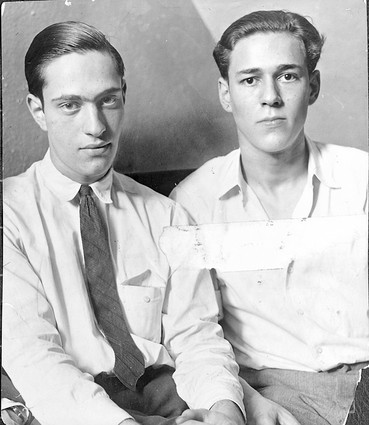 Both Leopold and Loeb had undergraduate degrees (from the University of Chicago and the University of Michigan respectively) and both had earned them at very young ages (Loeb remains today the youngest person to ever graduate from the University of Michigan), but neither young man seemed all that interested in public life or using their incredible brains for anything other than self-aggrandizement. Loeb in particular wasted his talents on becoming a petty thief – an act that thrilled him like no book or lecture could. Loeb’s need for further excitement eventually pushed him towards committing the “perfect murder,” and in order to accomplish this he brought in his friend and sometime lover Leopold, an intellectually strong but emotionally weak individual who thought of Loeb as a god. Before being conveyed back to Los Angeles for further questioning, Hickman put the blame on one Andrew Kramer. Although Hickman admitted to being guilty of the kidnapping, he claimed that it was Kramer who had killed the girl. In order to further prove his innocence, Hickman told authorities that: “Marion and I [Hickman] were like brother and sister. She liked me but she did not like Kramer, and she said she would like to stay with me all the time.” In an odd move, Hickman quickly threw away the depiction of himself as a 19-year-old gentleman by confessing to several drug store robberies, one of which ended in murder. In another twist, after researching the name “Andrew Kramer,” authorities found a conman who had been in jail since August. This solid alibi left Hickman as the sole perpetrator behind both the kidnapping and the murder. As for motive, Hickman’s explanations varied. In one instance, he claimed that he needed the $1,500 for college. Hickman wanted to study the Bible, and as an ex-con he desperately needed the money. In other another instance, Hickman blithely stated “I am like the state; what is good for me is right.” While this utterance points to Hickman as yet another wannabe Nitezschean, most considered him a young punk simply out for revenge against the Parker family and its patriarch. Whatever the motive, Hickman was doomed regardless. 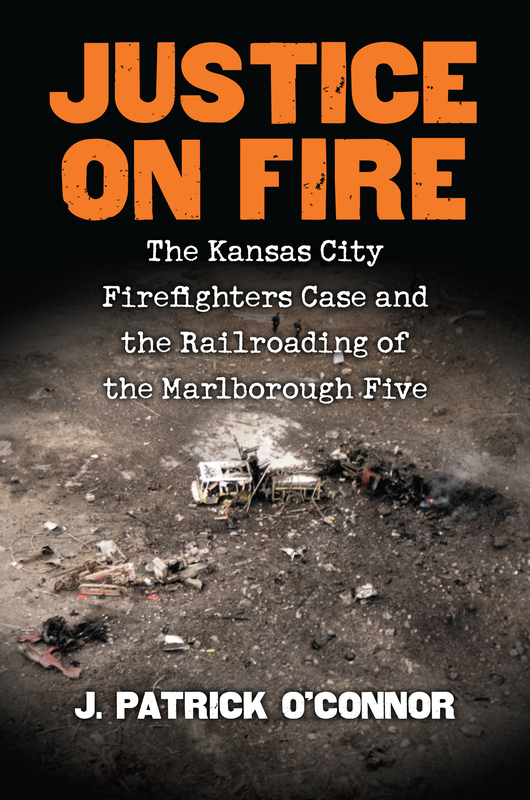 Even though Hickman’s defense used the then newly established plea of “not guilty by reason of insanity,” the jury, the public, and the press weren’t buying it. Earlier, not longer after his capture in Oregon, Hickman had been examined by Dr. W.D. McNary, who had found the youth clear-headed, coherent, and far from insane. After a short trial, “The Fox” was convicted of the murder and sentenced to death in California’s San Quentin prison. 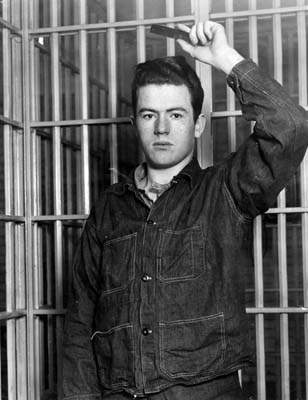 On October 19, 1928, Hickman was dropped from the gallows and died 15 minutes later. By the time of Hickman’s execution, Angelinos were busy with another crime: the disappearance of Walter Collins. The subsequent cover-up by the LAPD and the unveiling of what came to be known as the Winesville Chicken Coop Murders became the major story of 1928, and 80 years later the chilling story got the big screen treatment with Clint Eastwood’s Changeling. Still, while the rest of the city and the country moved on to more lurid tales, several authors continued to search the Hickman case for further clues concerning human degeneracy or the possibilities underlying Hickman’s supreme declaration of self-interest. While Burroughs fumed about the need for eugenics and the sterilization of what he termed “moral imbeciles,” another writer was working on a novel called The Little Street. Its protagonist, Denny Renahan, was specifically drawn as a Hickman with a purpose greater than murder and degeneracy. After being intrigued by what Hickman “suggested to her,” the author, Ayn Rand, decided to make The Little Street into rumination about the Nitezschean Superman. 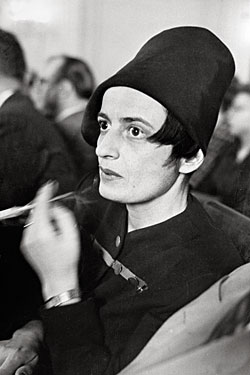 While Hickman’s declaration of “I am like the state” appealed to Rand (who would later develop the theory of Objectivism, which is centered around the concept of rational self-interest, or what many call “ethical egoism”), her later journals reveal her disgust with the “purposeless monster” Hickman. Despite Rand’s rejection of Hickman, many left-leaning journalists and bloggers such as Michael Prescott and Salon’s Jan Frel have used Rand’s early flirtation with Hickman as a reason for denouncing Objectivism, which is decidedly right-wing, as a vile-hearted philosophy only capable of appealing to cold-blooded murderers. Frequently, these commentators highlight one of Rand’s more infamous quotes, which described Hickman’s “I am like the state” declaration as the “best and strongest expression of a real man’s psychology I have ever heard.” While this quote is certainly chilling given the gravity of Hickman’s crimes, it pales in comparison to those post-World War II academics, such as Eric Hobsbawm, who used their enlightened pulpit to excuse mass murders such as Joseph Stalin and Pol Pot. Compared to Tony Benn’s admiration for Mao Zedong and his assertion that the Chinese Chairman “will undoubtedly be regarded as one of the greatest – if not the greatest – figures of the 20th century,” Rand’s championing of Hickman’s declaration seems far less damaging. For better or worse, this is what has become of William Edward Hickman and the murder of Marion Parker. 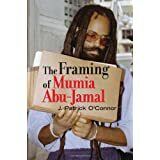 Once considered a shocking crime and a clear indication of the “moral imbecility” of the Jazz Age, the case has become merely another sticky point in the battle between Right and Left. “The Fox” is now a tool for spin doctoring rather than for doctoring of the alienist type. Burroughs, in all his rants against criminal psychology, would have never imagined such irrationality.